Everything Just So: A Sparkling Earring Trend to Try! 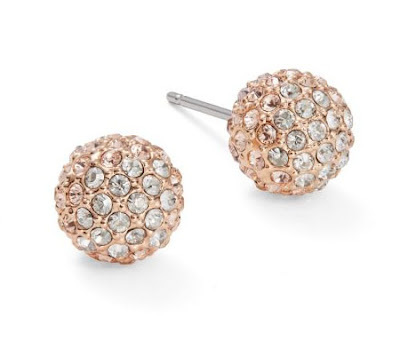 A Sparkling Earring Trend to Try! 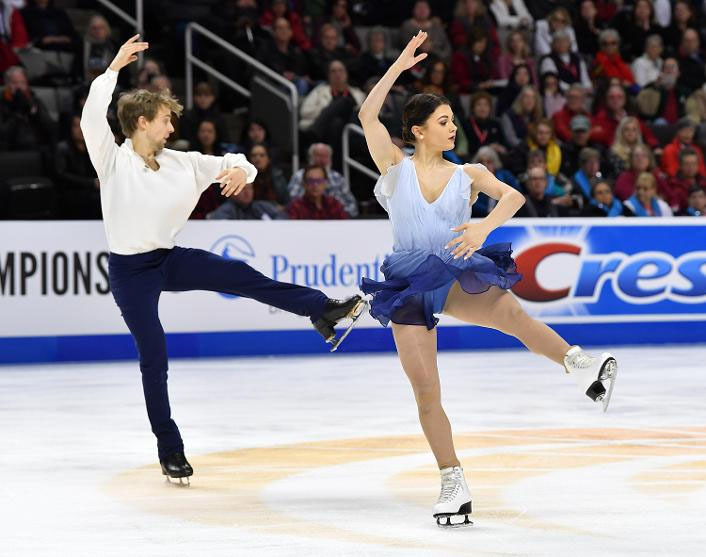 Kaitlin Hawayek and Jean-Luc Baker during their Free Dance. Photo by Jay Adeff. At the U.S. 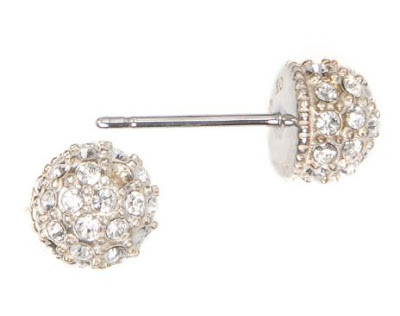 Figure Skating Championships, which just ended yesterday in San Jose, I noticed two of the ladies, both an ice dancer and a singles skater, wearing earrings I think I would like to own myself—pavé ball studs. I loved the subtle sparkle they added to the ladies’ faces, which highlighted their makeup, especially their eyes. I also like the idea of something that is a little different than a classic diamond stud, which is my daily go-to earring. This seems like a fun way to add a little more of a glittering pop even with an everyday outfit and I think they would look great paired with a gigantic shawl or scarf to bring even more attention to them. Love this picture of Kaitlin and Jean-Luc reacting to their Free Dance scores. Photo by Tony Avelar/AP. Kaitlin Hawayek, above, a very pretty ice dancer, who, with her partner Jean-Luc Baker, skated their way to 4th place, wore a pair of the pavé earrings, as did Ashley Wagner, below. This is one instance where something on my Jewelry Wish List—which is quite long, always being revised, usually with items being added ha ha, and most of it concerning pieces of fine jewelry from the major houses—is very reasonably priced. Hooray! Ashley Wagner waiting for her scores after the Free Skate. Notice the earring! Photo by Tony Avelar/AP. I found several pairs from different brands at Lord & Taylor. I will probably go with an all-white look, but I could also see getting a pair in rose or yellow gold just to be able to wear them with different pieces in my jewelry collection. They all seem like they have great sparkle! A version from Judith Jack. In rose gold from Nadri. 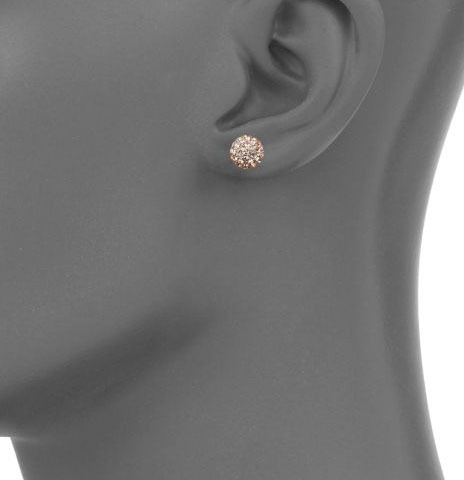 The Nadri earrings on a mannequin. What a perfect size! Let me know what you think of this look. If you already own a pair of these, tell me what brand you bought. And, for anybody who watched, that was quite a Nationals this year, eh? Oh the drama of competition, not to mention the selection of the U.S. Olympic Team! Onto Pyeongchang! I do love the pave ball earrings & they are a great substitution for diamond studs, which I wear constantly. On a skating note, I saw the coming attractions for I, Tonya. From what I read it is supposed to be a fictionalized & funny account of Ms. Tonya. Margot Robbie is getting some great reviews in her portrayal of the skater.